On February 22nd 2018, the 500,000th Fiat 500L rolled off the production line at the Italian car giant’s Kragujevac plant in Serbia. Fiat has invested one billion Euro in this state-of-the-art plant, making it one of the most advanced FCA (Fiat’s parent company) plants in the world. The landmark car was a 500L Cross, in Sicilia Orange with a glossy black roof. The new record confirms the success enjoyed by the model since its launch in 2012, with the model firmly planted at the top of its market segment in Europe for five years running and absolute leader in its class in Italy and Spain. To re-affirm its market leadership, the Fiat 500L was recently refreshed and is now even more spacious, more technologically advanced and offers a unique personality. Fiat claims that they have changed 40% of the old models components in the process of the refresh, creating a much-improved car. The new 500L now has more in common with the iconic Fiat 500 city-car in terms of looks. Media connectivity has taken a step forward and the interior is of much higher quality throughout. There is a redesigned, multi-function, steering wheel, which feels good to the touch and provides excellent feedback from the front wheels. New to the range is the five-seat 500L Cross, which has been given rugged crossover looks, 25mm more ground clearance and a new Mode Selector with a choice of Normal, Traction Plus (+) or Hill Descent functions. 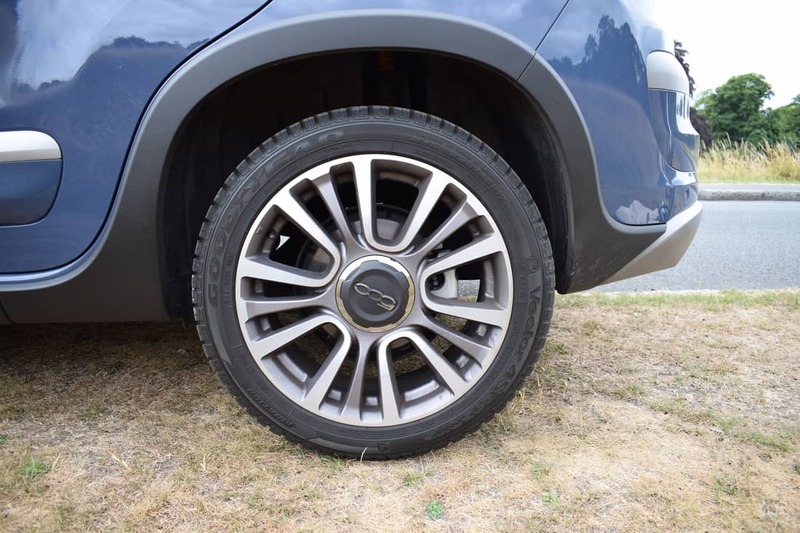 Ideally, the car can be kept in Normal mode for everyday driving, while Traction Plus (+) helps the car to pull away on slippery surfaces and brakes the wheels individually to direct the torque to the wheel with the most grip at speeds of up to 29km/h. Hill Decent (also known as Gravity Control) provides a hill descent system for slippery slopes. 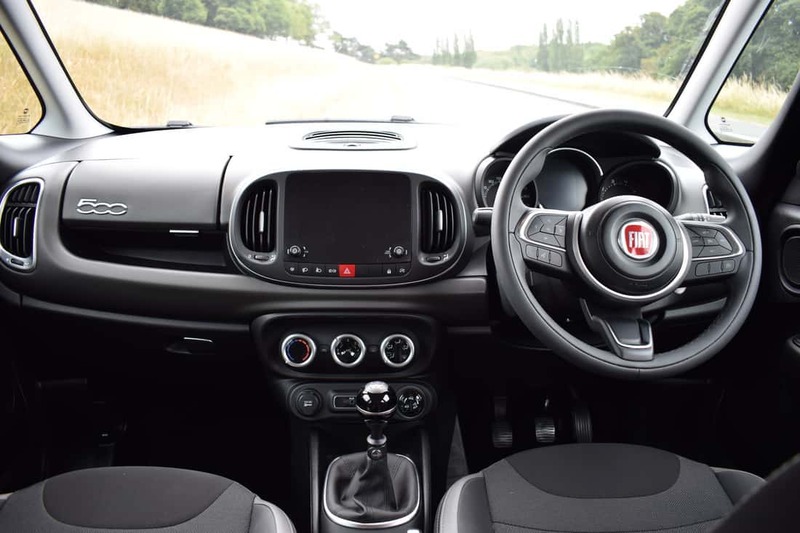 Knowing that these safety systems are fitted to the new Fiat 500L Cross provides a calming confidence for the driver and passengers alike. The front end of the car gets an aggressive silver-effect skid-plate arrangement along with a ‘vented’ upper grille in order to make the 500L Cross stand out from the standard 500L. Rivals to the new Fiat 500L Cross include the Renault Captur, Nissan Juke, Ford EcoSport and Peugeot 2008. 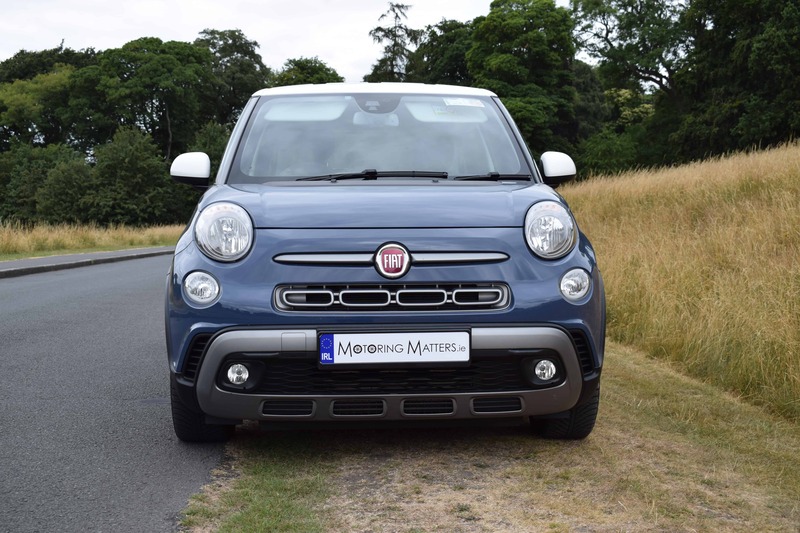 My test car was a new Fiat 500L Cross finished in striking ‘Bellagio Blue’ paintwork with a contrasting white roof and exterior door mirrors for maximum impact (an optional extra @ €775). 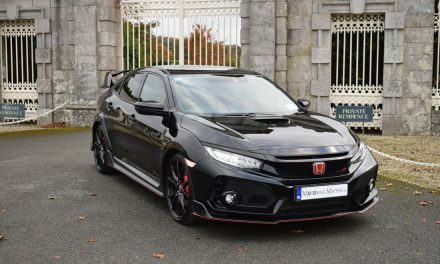 Fitted with a 4-cylinder, 1.3-litre turbo-diesel (MultiJet) engine producing 95bhp and 200Nm of torque, my test car was capable of a 0-100km/h sprint in 13.9-seconds on its way to a top speed (where permitted) of 171km/h. 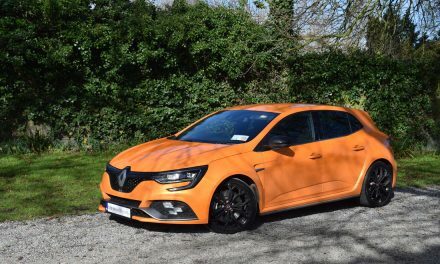 A low emission figure of 107g/100km leads to annual road tax of just €190. Fuel economy is exceptional, with the car consuming as little as 3.6-litres of fuel for every 100km driven on an extra-urban driving cycle. Standard specification in the new Fiat 500L Cross is impressive and includes a techno-leather multi-function steering wheel, electric windows front & rear, height adjustable driver and passenger seats with lumbar support, height adjustable steering wheel, ambient LED interior lighting, rear lights with satin dark finish, 17” Trekking alloy wheels, body coloured bumpers, rear privacy glass, front fog lights with cornering function, multiple airbags, ‘Dualdrive’ power steering with Normal and City functions, cruise control with speed limiter, remote central locking, rear parking sensors, tyre pressure monitoring system (TPMS), ESP, EBD, Hill Hold assist, space saver spare wheel, rain & dusk sensors, 7” HD ‘UConnect Live’ touchscreen radio with Bluetooth, USB, Aux-in & DAB, USB port on rear of central tunnel, Apple CarPlay and Android Auto connectivity, air-conditioning, start & stop function and three rear head restraints. With an unladen kerb-weight of 1,305kg, I found the test car to be solid and well placed on any road surface. Body roll in corners is well contained, while the car feels nimble and dynamically competent. Light steering and an excellent turning circle ensure that the new 500L Cross is simple to maneuver in and out of parking spaces. 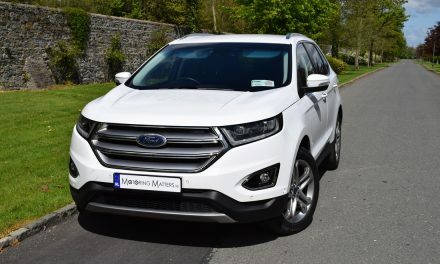 Thanks to a high seating position for all occupants, the car feels very SUV-like and offers excellent head and legroom as a result. Combined with a low window line, the elevated seating position gives a great view out and is something that is bound to find favour with small children. Boot space is an impressive 455-litres with the rear seats in the upright position and comes with a false floor (which Fiat call a Cargo Magic Space) which can be dropped down for added storage space or slid up to create a shelf. At the touch of a button, the rear seats can be folded to increase the cargo area to a van-like 1,480-litres. 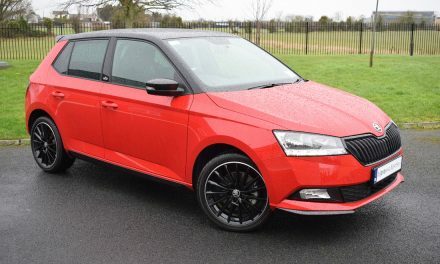 The front passenger seat can also be folded down when required, which is handy for transporting longer items, while the rear seats can be slid forwards or backwards to increase or decrease boot or passenger space accordingly. While the new Fiat 500L range starts at just €21,595 (ex-works), my test car is priced at a very reasonable €23,095 (ex-works). All Fiat passenger cars come with a 3-year, unlimited mileage, warranty – along with an 8-year anti-corrosion warranty and a 3-year paint warranty for ultimate motoring confidence.